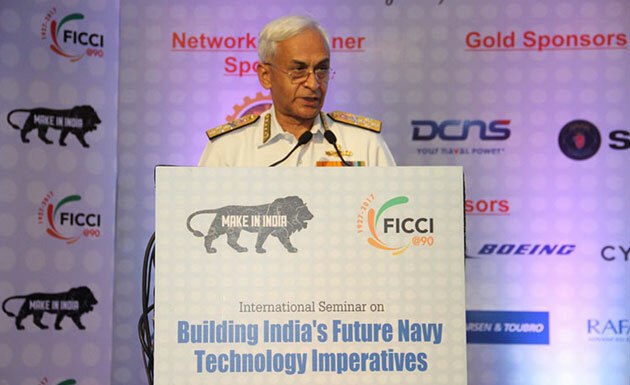 New Delhi: Speaking at the second edition of International Seminar on ‘Building India’s Future Navy: Technology Imperatives,’ Chief of the Naval Staff, Admiral Sunil Lanba said that the navy is keen to finalise the new line of fighters for the under-construction indigenous aircraft carrier (IAC) INS Vikrant. He said that the navy has got responses from four players to its Request for Information (RFI). 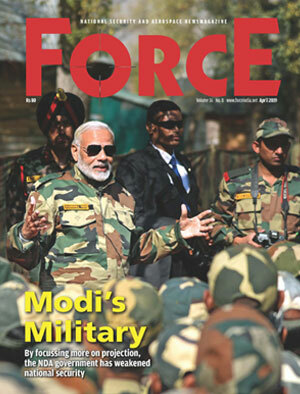 While he did not name the four companies, there is speculation about six aircraft, namely, the Rafale (Dassault, France), F-18 Super Hornet (Boeing, US), MiG-29K (Russia), F-35B and F-35C (Lockheed Martin, US) and Gripen (Saab, Sweden). The CNS also mentioned that the first of the Scorpene class submarines, INS Kalvari, which is going through the final trials, will be commissioned in July or August this year, even as the second of the class, INS Khanderi commences its trials. In his inaugural address, Admiral Lanba underlined four primary expectations from the industry: Affordability; Adherence to timelines; Quality and Performance; and Commitment of life cycle support by original equipment manufacturers (OEMs). According to Admiral Lanba, these were prerequisites for building a naval force which is able to act decisively in war. Of course, these were to be underpinned by the ‘Make in India’ policy which hopefully will usher in greater indigenisation. Even as the Indian Navy has seen a transition from a buyer’s navy to a builder’s, there is the need to keep pace with the technology of today and at the same time a watchful eye on the technologies of tomorrow, he added. Jointly organised by the Federation of Indian Chambers of Commerce and Industry (FICCI) and the Indian Navy, the seminar saw a full house from both the navy and the industry, further bridging the gap between the user and the OEM.